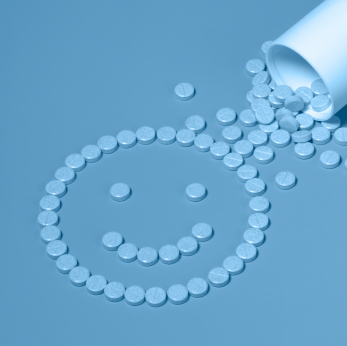 Why is maintenance antidepressant therapy important? Suboptimal dosing and duration of antidepressants increases the risk of relapse and recurrence. Clinicians are only 50% accurate in their identification of potentially nonadherent patients. What are the potential risk factors for nonadherence in patients with recurrent depressive disorder? This question was recently researched and published in the Journal of Clinical Psychiatry. The researchers assessed nonadherence with the Medication Adherence Questionnaire. Nonadherence on this scale indicates that patients missed 20% or more of the doses of their antidepressant medication. They followed 91 patients with at least 2 major depressive episodes in the last 5 years and were in remission. Follow up duration was 2 years. In a multivariate analysis with backward elimination they found a higher level of personality pathology and higher education at baseline predictive for for nonadherence during a follow up of 2 years. These two factors explained 15% of the variance in nonadherence. All other variables such as axis 1 comorbidity, number of previous episodes, severity of residual symptoms, severity and duration of last episode, and medication did not increase the risk of nonadherence. There was no independent variable predicting nonadherence. Besides the small sample which could have limited the power of the study resulting in a lack of identifying possible factors influencing nonadherence this study did not include other confounding factors for adherence in the patient doctor relationship such as the therapeutic alliance, patients attitudes towards the illness and the medication. 15% is hardly a significant factor. Your right. These kind of studies are mostly for discovering probable explaining factors. Real proof and significance needs long term follow up studies with a priory hypotheses. I would disagree that 15% is hardly a significant factor. Given how little we know about the underlying factors in non-adherence, recognizing even 15% allows us to address a big chunk of patients’ non-adherence. Maybe patients have compliancy issues because they feel they are dependent (not addicted) on their medications to function. Sometimes psychiatrists present meds to their patients in such a way that the only way a mental illness is going to remit is if they take their meds every day, forever…the meds are the treatment. No psychiatrist I had ever seen, and I’ve been seeing them since I was 16, has ever has actually included ME as part of my treatment until I saw Dr. K. Dr. K helped me develop a “relapse prevention plan.” It’s a written self-management plan for schizophrenia…similar to an Asthma Action Plan for asthma. It helps me to know how to handle my schizophrenia when I start to get symptoms so that they don’t escalate. If they do get worse, then I go to the next level and follow my “relapse prevention plan.” It makes me feel very empowered. In all honesty, before this, I had a very bad attitude toward my meds. After this, my attitudes towards my meds changed. I know I’ll be taking my meds for a long time, but it doesn’t bother me anymore. I understand now that meds aren’t the only thing, that there are ways in which I contribute to my treatment as well. That is something I really needed to know and understand. I suspect it is something that other patients might need to know, too. How do you explain that higher education was found to be apredictive factor of non adherence? Do patients with educations tend to be more disobedient to medical prescriptions?